Today millions of Dutch people live behind dykes below sealevel. This tour will give you an idea of these extremes and what it takes to maintain this. How low do you think you can go? A cycling journey towards Holland's lowest point! This tour will start in Gouda, and we will follow the Hollandsche IJssel, a tidal river. You will immediately notice the extreme difference between the high level of the river and the lowland behind the Schielands High Seadyke! 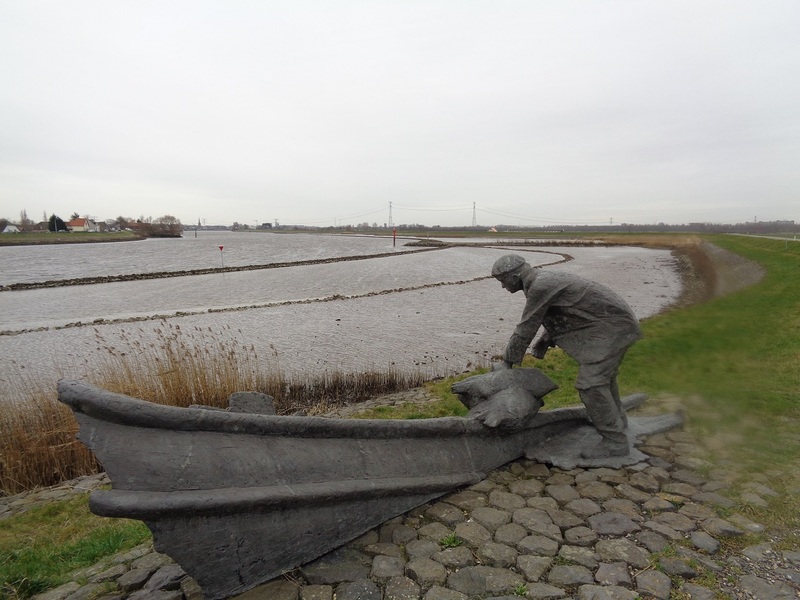 During the 1953 North Sea Flood, this dyke was all that protected three million people in the provinces of Holland from floods! It was at the point of collapsing when the Mayor of Nieuwerkerk commandeered a ship to plug the hole in this dyke! If the story of Hans Brinker were real, the scale was actually much larger. From this point we will cycle along various canals that can be found in the Rotterdam outskirts. The Zevenhuizerplas is a lake that was created in the 1970s. Its sand was required for construction purposes in the new Rotterdam neighbourhoods. Now this is a tranquil nature reserve with a nice beach, and many water birds can be spotted here. We will follow the Rotte, the river after which Rotterdam was named. This city was founded in the 13th century when a dam was built along the Rotte. We will have lunch on the shoreline while enjoying the beautiful scenery. Notice here that the Rottemeren (Rotte Lakes) are situated much higher than the polders around it which have been sinking for centuries. We will spot some windmills in this area that once kept the Zuidplas dry. What is now a dry ‘polder’, the Zuidplas once was rough inner sea. We cycle towards the point that is now officially marked as the lowest point in the country: 6.74 meters below sea level. Just imagine standing here at the bottom of the sea!